On February 11, 2019 the delegation of Turkmenistan made a statement on "Priorities of Turkmenistan in the field of security" at the regular meeting of the OSCE Security Committee. 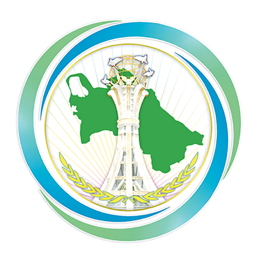 The statement notes that Turkmenistan abides by the firm adherence to the principles of neutrality, non-interference, strong commitment to the peaceful and political means of resolving conflicts and disputes. Turkmenistan considers the further joint efforts of the states in the sphere of disarmament, non-proliferation of weapons of mass destruction and other types of armaments, in combating terrorism, extremism, illegal trafficking in drugs and their precursors as priority areas in the activities of the international community. Turkmenistan’s security priorities are based on the fundamental concept of President of Turkmenistan Gurbanguly Berdimuhamedov on the integrity and indivisibility of this concept, both in terms of geopolitics and interconnectedness of its concrete aspects. In this context, the initiative of President of Turkmenistan Gurbanguly Berdimuhamedov to declare 2019 - “Year of Peace and Trust” during the session of the 73rd session of the UN General Assembly was underlined. It was also stressed that Turkmenistan closely coordinates its activities with the UN on countering terrorism, drug trafficking and other threats. Turkmenistan’s strategic partnership with the UN is long-term, conducted on a systemic basis, and similar principles and views on final outcome are shared. In this context, Turkmenistan supports efforts of international community to create effective mechanism for countering terrorism and is for full implementation of the UN Global Counter-Terrorism Strategy. The participants of the meeting were also informed about Turkmenistan’s cooperation with the Counter-Terrorism Implementation Task Force Office of the UN Counter-Terrorism Center, the UN Regional Center for Preventive Diplomacy, the European Union, the OSCE and its field mission in Ashgabat, as well as the forthcoming on April 17-18, 2019 Conference on the theme “Countering the Financing of Terrorism and Organized Crime” in Turkmenistan, which will be organized by the Government of Turkmenistan together with the OSCE.